In the build up to Christmas with the seasonal festivities in full swing, employers often need to boost their staffing requirements and bring temporary staff on board to handle the increased workload. Temporary workers are employed on a short-term basis for specific job roles. Seasonal workers or those working through the holidays, need to be introduced to their new roles early enough, so that they are up to speed with their duties in good time before the demand on the business increases. Usually temporary workers are employed under fixed-term contracts, which allows them to work for a specific period under an employer. An employer can also hire workers on a short-term basis via an open-ended agreement, wherein the job role ends when the project nears its culmination. Either way, the period of employment for permanent and temporary staff is detailed out clearly in the contract. What Does the Law Say About Employing Temporary Staff? In the UK, the Fixed Term Employees (Prevention of Less Favourable Treatment) Regulations 2012 depicts that if a worker is given a contract that employs him/her for a period less than three months, they are entitled to one week’s notice of contract termination before the actual expiry date. This is, however, only applicable if they have worked for at least month under the contract. 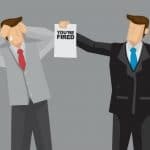 On the other hand, if the contract of employment is for a tenure of more than three months, the employer cannot terminate the agreement before the actual end of the fixed term, unless they have a valid reason to do so (for example, gross misconduct). Further, if the contract already has a provision that entitles the employer to end the contract before its expiry, then one party will have to give notice to the other. The law also entitles temporary workers on a fixed-term contract to favourable treatment, same as that of permanent employees. Thus, temporary workers are protected from workplace discrimination in the same way as any other employee. Fixed-term contract workers also enjoy the same equal rights, relating to rest breaks, holidays, and working hours as permanent employees, under the Working Time Regulations 1998. Employing fixed-term or temporary workers isn’t the same as hiring temporary staff through an employment agency. Agencies are able to provide additional staff to cover during busier times such as the festive season, many employers find this option preferable to employing fixed-term workers directly. If the temporary workforce is hired through the agency; it is the agency’s responsibility to ensure these workers receive the same treatment and wages as described under the Working Time Regulations and the National Minimum Wage respectively. If an employer hires a temporary workforce through an agency, the agency will state the wages for each worker and the sum paid must be at least the minimum wage applicable for their age. As of 2018, workers aged between 18 to 20 years must be paid £5.90 an hour as minimum wages, while workers aged 21 years and above are entitled to receive £7.38 an hour. Further, temporary workers are entitled to receive pay slips showing how much they’ve earned and any National Insurance (NI) and tax liability that they have. Workers earning up to £153 a week are not liable to pay NI. However, if any temporary worker is getting paid cash-in-hand and doesn’t have any record of their tax or NI contributions, it suggests that their employer might be breaking the law. Zero-hours contracts are becoming increasingly popular in the UK as they provide flexibility to employers in hiring temporary staff, without affording the same entitlements depicted under the Agency Workers Regulations (AWR). It is crucial for employers to consider that zero-hours workers have an equal say in refusing work offers. If this feature isn’t part of the employment; it could imply that a ‘mutuality of obligation’ exists between the employers and workers. This, in turn, would confer employment status on the temp workforce along with the associated benefits and rights. Overall, employers must be fully aware of their responsibilities if they decide to leverage zero-hours contracts and should set out the contractual terms very clearly. In the UK, temporary employment increases during the Christmas season. Studies show that about a third of employers prefer fixed-term contracts while hiring a temporary workforce. Many employers prefer to hire these workers through employment agencies, so that they have fewer liabilities. Agencies usually pay workers between work assignments, and in the process, effectively becoming their permanent employers. As per employment law, temporary workers share the same entitlements, rights, and protection as any other permanent employee.